Cersaie 2012 is already here and Castellon ceramic sector has set a clear goal: to continue increasing exports. Due to the debacle of domestic consumption, ceramic manufacturers are obliged to increase their sales in foreign markets. Meanwhile, negotiations continue to minimize the impact of the new gas rate, which if confirmed, would be an irreparable loss for the sector competitiveness. So far, the results shown in 2012 are good. Between January and July, sales of ceramic products increased 12% over the same period of 2011. Frits and glazes industry also reported the same trend, with an 8% increase during those first seven months of the year. And, of course, both increases are driven by rising exports. According to the opinion of most of the sales managers of ceramic firms, markets with a better perspective are Asians, mainly China, whose internal consumption is unstoppable. Besides, Russia, Saudi Arabia, and Africa in general are also interesting markets. Like the United States, it takes so much to take off though. Moreover, markets such as France, Germany and the United Kingdom remain safe options. The tricky thing right now is to make new customers. 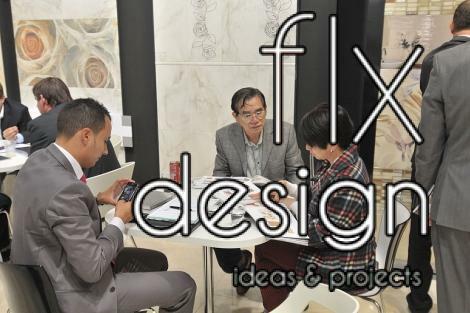 This year in Bologna will meet 86 manufacturers of wall and floor ceramic tiles, 7 manufacturers of bathroom equipment and 8 auxiliary ceramic industries.